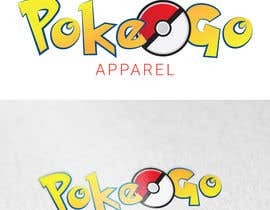 before you select a design, be aware that the 'pokemon' font style and colors are patents of 'The Pokemon Company'. You may not be able to register or use the logo with similar looking font style. Nah. You can always do slight modification on the logo to make it different. Also, actually. 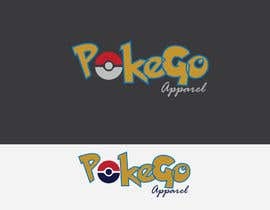 The client is not competing against Pokemon's or Pokemon Go's businesses. 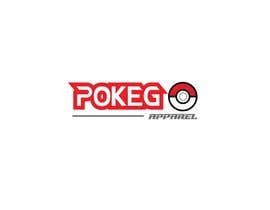 He is promoting them by selling Pokemon's and Pokemon Go's Merchandise. 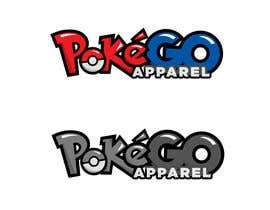 Selling Pokemon's and Pokemon Go's products like selling them as your own products is more serious than just using their logo. There's no wrong about promoting them and the client is not that stupid as you think. what do you think I could use? what if it was different colors? Please check #12. Thank you!